Over the past 15 years, we’ve seen the rapid rise of Monte Carlo analysis as a tool for analyzing retirement. Yet at the same time, the use of conventional statistics to project potential market scenarios has been under attack, for failing to capture the so-called “Black Swan” phenomenon. In this week’s #OfficeHours with @MichaelKitces – a new video series we’ve launched where I will take reader questions, both emailed and live, every Tuesday at 1PM EST via the Periscope social media platform – we look at the phenomenon of Black Swans, what a black swan event really is, and how the “risk” of a black swan is quite different for a long-term retiree who takes annual withdrawals versus a leveraged hedge fund who faces the risk of having their debt called in. 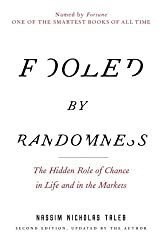 In fact, we ultimately find that while Monte Carlo analysis for retirees is commonly criticized for failing to capture extreme market events, it turns out that the biggest problem with Monte Carlo is not that it fails to model the downside risks but that it actually understates the possibility for upside surprises! You can see me discuss all of this and more in our #OfficeHours video posted in today’s article, along with details on how to sign up to watch the next broadcast live, and participate for yourself! Black swans, the topic for today. Hello everyone. How are you doing? So, I thought for our topic today, I would touch a little on black swans. You know, this topic seems to be cropping up again. It’s been bumpier in the markets, these things happen, I get it. It seems every time the market gets volatile and something “unexpected” happens, we start talking again about black swans. I’ve had a whole bunch of questions coming in over the past couple of weeks that are basically, “Is Monte Carlo software dumb and useless and dead?” And all these negative terms. Because it fails to capture black swans and it’s not modeling correctly. So I thought I’d just tackle this topic head on. So first of all, just to make sure we’re on the same page about the term black swan. Because black swan frankly has gotten thrown around a lot lately, to refer to, basically, any dramatic event. Which is not the point of a black swan. Normal, mathematical, statistical analysis like standard math says extreme stuff happens from time to time. That’s normal probability theory. If I keep flipping the coin over and over again at some point I’m going to flip heads ten times in a row, that’s not a black swan event. That’s just realize. If I do it enough times eventually I’m going to throw heads ten times in a row. It’s not very probable, but it will happen at some point. It’s expected. So the idea of a black swan comes from the science we actually use to do these sorts of statistical analysis. It’s called inductive reasoning. And the related idea of a black swan was popularized by Nassim Taleb, who wrote the “The Black Swan“, although actually his original book [Fooled By Randomness] I recommend even more. He put forth the notion of this black swan logic problem. Let’s say you’ve been looking at swans all your life. Swans for most of the developed world are one color. They’re white. Anytime you see a swan it’s white. The definition of swan for most people is a white bird. And that was the conventional view of all swans, until one day we went to a new part of the world and discovered that in parts of the southern hemisphere, there are swans that are black. No one had ever seen a black swan before. And so it leads to this interesting logic scenario. How many white swans would you have to see in order to predict that the next swan is going to be black? The answer is that’s basically a paradox in statistical analysis. You would never, ever predict you’re ever going to meet a black swan no matter how many white swans you meet. Because you’ve only ever seen one type of swan. And if you literally didn’t even know another one existed, you were never going to expect to see it. It would be something that was so improbable you would have assumed it was impossible. Yet it actually was possible and it happens because there are black swans out there. So that was the origin of the black swan concept. The idea is something that is viewed as being so improbable as to be impossible, based on all available data and statistics we have. Yet the truth is, it’s actually quite probable. We just didn’t know because we were only looking at a small subset of the world and not the universe of all possibilities. And the classic way this gets manifested in markets is things like, when we look at the typical daily volatility of markets and we run our statistical analyses to figure out what’s the probability of getting a single day where the market goes down 5% or 8% or 10% or 12% or 15% or 20%. You would actually have concluded, since typical daily volatility is only a fraction of a percent, that it’s virtually impossible to get a single day market decline more than 4% or 5%. When we look historically that’s happened. We’ve had fives, we’ve had eights, we’ve had tens during the financial crisis. We had an almost 25% in the crash of 1987. So we get this disjoint to where, statistically, the odds of a single day market crash of 20% should for all intents and purposes be impossible. It’s a twenty-standard deviation event. Yet it happened. And we’ve had many that have been 5%, 8%, 10% declines, even though statistically that should be so rare, you would basically never see it once in a 100 years. Yet we’ve had a couple dozen of them over the past 100 years. So that’s the idea of this black swan phenomenon [as it pertains to investment markets]. And then lots of discussion that says, “Well when all these extreme events can happen that we’re not accounting for in traditional statistics, normal distributions, which most Monte Carlo software relies upon, does that basically mean all of our Monte Carlo software is bunk and invalid?” And the answer is no. Monte Carlo software is really not invalid as we use it for, as advisors, for actually a couple of different reasons. The first is just to recognize that this whole phenomenon of black swans, it really matters what time horizon you’re talking about. So when we look at daily market volatility, what happens is markets go up and down from day to day. We clearly see “black swans” in the data. Statistically speaking, the crash of 1987 was about a twenty-standard deviation event. Which means, mathematically, it should occur on average about once every three times the length of the universe which is impossible. Yet it happened. However that’s only on a daily basis. When you actually back the frame out and you look instead at what it looks like on an annual basis…I’ll actually give you a chart that I did for one of my articles a couple years ago. That’s what market volatility looks like on an annual basis. So the green line is what a normal distribution would have predicted. The red line is what happens in the real world. Now you notice the red line doesn’t perfectly match up with the green one, but that’s because the primary problem is actually what’s going on over here to the right. There are a whole bunch of…Well, I guess technically, they’re black swans because they were events that were five, six, seven-standard deviation events that weren’t supposed to happen and they did. But they were good returns. They’re on the right side of the chart. The primary problem we actually see in the historical data of annual returns is not the excess number of bad black swans; it’s the excess number of good black swans, or as I like to call them, golden swans. That’s actually the primary problem. In other words, if you’re just using annual returns for your Monte Carlo, the biggest problem is you’re underestimating the probability that your client has amazing extraordinary upside wealth. Not downside. The downside is actually almost perfectly predicted with the normal distribution on annual returns. It’s the upside that’s actually not properly predicted. So a lot of this now starts to depend on when your investment time rises, what you do. So if you’re a hedge fund that’s levered a zillion-to-one with banks that settle up everyday to make sure they’ve got sufficient collateral, daily black swans matter. Because if you get a black swan that’s a horrible decline today and recovers next week but you’re out of business today, being right next week doesn’t really matter. 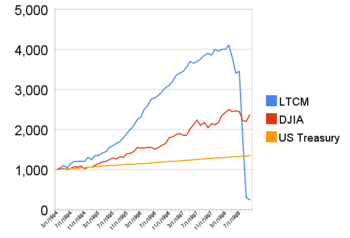 And the classic example to this in the investment world, that’s what happened to Long-Term Capital Management (LTCM). So back in the late 1990’s, Long-Term Capital Management was incredibly leveraged. They had a “black swan event.” A convergence or actually divergence of yield spreads that was never supposed to happen, but did. And then as it ultimately turned out, they went bankrupt from the leverage. They had to be unwound. And by the time everything was done around a couple of years later, all their investment debts or the majority of their investment bets were actually right and it got unwound profitably. But they got put out of business in the meantime because they were so leveraged in market to market daily that they couldn’t wait out the volatility. The distinction is, at least for most of us advisors, this is not our clients. We don’t invest with five-to-one or ten-to-one or twenty-to-one or fifteen-to-one leverage that’s reconciled daily. Most of our clients have no leverage at all and they’re hardly taking any money. Where a retiree takes 4 or 5% percent of the portfolio in the year. So if we take a retiree through a scenario like 1987, the crash of 1987, on a daily basis there was a black swan and leverage funds would have gone out of business. As a retiree, if you took your first distribution on Labor Day of 1987 and then you took your second distribution on Labor Day of 1988, your second distribution came out at a higher price than the first distribution. And you will completely have missed the fact that you had a 20% decline from the crash of ’87 followed by a comparably sharp recovery thereafter. And that’s just the fundamental distinction of…it’s not really about black swans or it’s certainly not about daily black swans. At worse, it’s about annual black swans. Except, when we actually look at the data, there are no annual black swans in the market data, just golden swans! Now I suppose in the classic definition of black swan, the fact that we’ve never seen one still isn’t proof that we’re not going to have one. But still, all this discussion we have about black swans and how normal distributions don’t predict them, that’s entirely a phenomenon of daily market volatility, not annual market volatility. And for usl that we tend to do withdraws annually, invest more returns annually, we invest for our clients over longer term time periods, even annually. It’s basically a nice way of saying, black swans don’t matter. Or don’t matter in any way that you would change your modeling. Now I can still make the case that maybe Monte Carlo software is slightly off because it maybe slightly overestimates the probability of a five-standard deviation annual event. Which we’ve never seen the data. But hey, if it could occur, it would be a “black swan.” But you still get this question of what would you actually do with it. How Do You Plan For A Black Swan? So imagine this for a moment. You’ve got a client retirement scenario. You’ve run your Monte Carlo. The probability of success is 92%. But then I give you this fancy, awesome, brand new financial planning software with great Monte Carlo tools, that perfectly predicts actual black swans. So while we think this five-standard deviation event is impossible and couldn’t occur, it correctly identifies the fact that there is a 1.2% probability this would occur. Which is a thousand times more likely than we were giving it credit before. A million times more likely than we were giving it credit before. So we re-run our Monte Carlo analysis with this 1.2% possibility of a complete and total catastrophe early in retirement and the client’s probability success goes from 92 to 91. Now, tell me what you would do differently with your client if you had a Monte Carlo analysis that ignores black swans with a 92% probability of success and a perfect Monte Carlo analysis software tool that correctly predicts the probability is really 91% black swan adjusted? The answer is you’re going to do nothing different. We don’t do anything drastically different for our clients between whether they have a 92% probability of success or a 91% probability of success. It’s not a big enough difference to matter. What do we end up doing in practice? If the thing occurs, if the other 8% or 9% bad scenarios occur, we respond. We adjust. That’s the whole nature of financial planning when working with clients in an ongoing basis. Ideally our planning software would even give us the tools to analyze this upfront. If the market falls 30%, do I need to cut my spending by 5%, 10% or 20% to get back on track? Again, that would be formulating a true plan in response to the market decline. But still, ultimately, the best we’re going to do is take an event that is extremely improbable. We’ve acknowledged it could occur but it’s still unlikely. The crash of ’87 did happen once in the past 100 years. But it only happened once in the past 100 years. You’re not going to plan every day assuming that tomorrow could be the crash of 1987 or you’re never going to actually generate an investment return and you’re going to be wrong 99.999% of the time and leave all your growth on the table. So the reality really is that planning for black swans isn’t about getting better planning software to model them: A) because black swans basically don’t exist in annual data; and B) because you wouldn’t really do anything different anyway, because even a properly accounted black swan is not material enough to dramatically change a Monte Carlo analysis or a probability of success. What it’s really about is formulating the plans about how you’re going to respond to a black swan. Planning for a black swan is really about planning the response to one. If the market falls 30%, what would your spending cut be? If the market falls 50%, what would your spending cut be? Or what would your plan be if we know that the reality is most of these things tend to rebound quickly, five years later the financial crisis was making new highs. After the crash of 1987, it took less than a year to make new highs. The plan could actually be, we’re going to sit tight for a year and see how much this thing bounces back. Because you don’t need to touch your money for a year anyway. We’ve already got spending set aside for a year. Then we’ll decide how to respond. And for every 15% your portfolio’s declined, we’re going to cut your spending by 5% to keep you on track. That’s a plan. That’s an actual, formulated plan. And now you can deal with that whether you get a normal market decline or a black swan market decline. you formulated a plan on how to deal with the market decline. And to me, that’s really the essence of what planning is about. What Is A Black Swan Event [Really]? We throw out these black swan labels as though they’re so crucial. That’s really not what it’s about. Not for what we do as financial planning, when our clients are not leveraged to the hilt. They’re not doing ten, twenty, fifty-to-one leverage like various hedge funds and financial institutions. Most of our clients are unleveraged. They have very little liquidity needs at the end of the day. They’re spending a couple percent a year. And the truth in that environment is, annual black swans both don’t exist and wouldn’t have a material impact anyway. Because clients aren’t even withdrawing enough for it to matter. The truth even when we look at sequence-of-return risk is that it’s not big market crashes that actually trigger retirement failures in sequence-of-return risk. It’s bad decades. Because bad market crashes often recover as quickly as they fall, or within a year or few years as we’ve seen in 2008 and 2000 and the crash of ’87. Most of the time they recover so quickly, it’s hardly even a speed bump. The actual risk for clients in the first place is not bad years; it’s bad decades. It’s when you retire and 15 years later, the market hasn’t made any real returns. Which is what happened for a retiree in 1929 or 1966. And ’66 is a good example. There was no market crash that made that the worst year to retire in the 20th century. It was the fact that you just got mediocre real returns for 15 years. Because markets were bad and inflation rose and all the dynamic stuff happened. So just recognize this phenomenon. Black swans are daily events, not annual events. For clients that don’t have leverage, you don’t really have to care about daily events. And the annual events, you’re actually safe. Even if you’re going to model them, the probabilities don’t move that much which means you wouldn’t do anything differently. All black swans really mean is whether you’re going to get a black swan or even a normal, predictable market decline. It’s really about formulating the plan. If a decline happens of any material substance, black swan or otherwise, how are you going to adjust spending to stay on track? That’s really what it’s about for good retirement planning and dealing with black swans. And that’s something that ironically we can’t do very well on Monte Carlo right now simply because the software isn’t built to actually show dynamic spending adjustments based on market volatility. Hopefully we’ll see planning software improve in the future in order to do that. But that’s ultimately just a modeling issue in planning software and Monte Carlo. It’s not actually a failure of Monte Carlo as a tool. So I hope that’s helpful with some food for thought around Monte Carlo. And I don’t know if you guys had any questions about this Monte Carlo, black swan discussion. I saw a few of you were sharing this out. So thank you for sharing the broadcast as well. But any questions? As Bill Winterberg has chastised me I have to wait a moment for you to actually type your question if you’ve got a question. If you’re listening in from a desktop, I’m sorry you can’t ask questions this way. You have to do it through the Periscope app on your smartphone, IOS or android. That’s not me trying to sell the Periscope app. That’s just the reality of how the technology works. It’s not built to do questions from the desktop platform, only from the mobile app. All right, well, I’m hearing no questions. Then I guess we’ll go and wrap up. Thank you Bill for the Happy New Year’s wishes to everyone. I hope this was helpful food for thought for all of you. I’m going to be doing Periscopes going forward, 1:00 p.m., east coast time on Tuesdays. Trying to share financial planning topics like this or anything else I can find that’s helpful. So have a Happy New Year, everyone. Thanks again and take care. So what do you think of our new Periscope video format? And the black swan topic? Please share your thoughts in the comments below! Does Monte Carlo Analysis Actually Overstate Tail Risk In Retirement Projections?